When it comes to offering health insurance to employees, a lot of small businesses in the US tend to dither. Much of this reluctance originates from the misplaced notion that offering health insurance can cost a fortune. In reality, offering health insurance is no longer a difficult task and there are numerous options available for you to choose from. More importantly, if you are looking to hire the best talent, offering health insurance can come in handy. In this guide, we will look at how you can go about providing health insurance to your employees and what are the costs associated with it. We would also look at the kind of tax savings you can make and even discuss salient aspects and typical queries associated with small business health insurance. With the Affordable Care Act in force, any employer who has more than 50 full-time staff on his or her payroll is mandated to offer health insurance to its staff. Now if you happen to employ less than 50 employees then you can get away without offering health insurance to your employees. However, the moment your full time headcount exceeds 50, you are mandated by the law to offer cost-effective health plans to your staff or are liable for paying a penalty when you put in your tax returns. 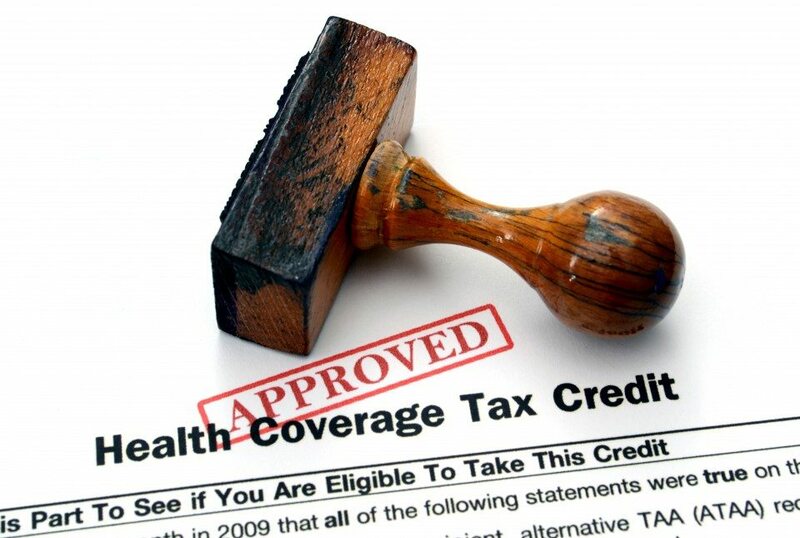 Not only are such businesses required to offer health insurance, the offered plans should be affordable and organization must also fill in requisite IRS forms namely 1094-C and 1095-C.
Now irrespective of whether you are mandated by law to provide insurance, it makes great sense for small businesses to offer health insurance to their employees. Let’s look at them in detail. Most employees prefer to work with organizations which offer health benefits. This especially true for talented candidates who would otherwise gravitate to your rivals, in case you are not offering them a suitable health cover. Moreover, employees can cut short from paying income taxes on the portion of the premiums that they use to pay for the health cover. Offering health insurance to your employees will give you an option of preserving your own health along with the ones who depend on you. As a small business owner, you would like to take the opportunity of securing health insurance for yourself at an affordable group pricing rate. Employees who have access to health insurance services tend to take less leave for sick days. They are more healthy and productive which goes a long way towards improving overall productivity. Increasing long-term relationships with employees. Isn’t it better when you have a loyal employee working for your company? Health insurance is the key to maintain the loyalty of your employee. As your business will grow in the future which will result in changes in your employees’ life like they will age as the time grows, get married have kids and there might be chances of them facing health issues. Offering health insurance services will help you to gain their trust and will help you to maintain a long-term relationship with them and in turn, you will save your recruitment cost as well as time to hire the employee. Any information provided in this guide is general in nature and you should consult your insurance broker, HR and legal team before choosing an appropriate insurance plan. How can you go about providing Health Insurance to your Employees? Providing health insurance for employees in a small business setup is quite easy. There are numerous health plans available in the market that are suitable for different businesses and all you need to do is figure out the right one for yourself. Given the huge variations in available plans, we would not be in a position to recommend any specific plan for your business. However, we do next best thing – we list the entities which can offer your organization with relevant plans along with the typical benefits associated with working with each of them. SHOP Marketplace The US Federal Government’s marketplace which caters specifically to small businesses looking to buy Insurance. The cost you are likely to pay will vary with respect to the state your business is operating in and the size of the organization. At times you may get a good deal directly on the marketplace. The marketplace is still evolving and there is limited support. However, it does give you the option to procure low-cost insurance in many cases. Professional Employer Organizations PEOs essentially outsource your HR tasks by hiring employees on its payroll. Can offer one of the lowest health insurance costs for small businesses. Keeps you away from compliance hassles and keep costs at the minimum. Depending on your company-specific requirements you may opt to go with any of the above three entities. While it is extremely difficult to suggest a specific entity that may work well for you, PEOs though seem to be a safer bet. However, if you are aware of compliance regulations and have enough time at your disposal, you may choose to work through the Federal government’s insurance marketplace. How easily an insured person can use that plan. Is the plan is compatible with ACA. 1) Health Maintenance Organization: – This plan limits the coverage of the employees; an employee can access only those doctors who have the contract with HMO; this means except in case of emergency they will not get cover out of network care or access those practitioners who have no contract with HMO. This option is associated with low premium rates. 2) High Deductible Health Plans: – It charges lower premiums and one has to shell some out of pocket costs. The employees get the opportunity to keep their own doctor while some additional benefits are also provided like wellness benefits. 3) Preferred Provider Organization (PPO): One of the most sought after plans by employees if they can afford it, the PPO option gives the employee with an expansive network. There is a large list of practitioners that an employee can access without any referrals. It can be used by any employee easily but the insured will have a deductible, co-pay or maybe both, depending on the treatment. The typical insurance premium is very high for these plans. 4) A Point of Service Plan: A balanced plan which gives you the chance to access a large set of practitioners and even get a referral before the treatment proceeds. It is typically associated with reasonable premiums and offers decent coverage. Apart from traditional health plans, there are Add-Ons plans which do not meet ACA requirements by themselves but have specific advantages. These are typically offered by employers in conjunction with a traditional plan. One such option is a Health Reimbursement Account where the employer reimburses an employee for medical expenses on receipt of bills. To know more about these plans try reaching out to your shortlisted PEO or Insurance agent. As mentioned before a PEO essentially outsources your HR tasks including payroll. In other words, for tax and compliance purposes, your employees end up working on the payroll of the PEO. Now this offers an interesting benefit when it comes to health insurance. Since PEOs are dealing with thousands of employees across several firms, they can get the best health insurance quotes from the largest carriers. In others words with a PEO in place, you are likely to get the cheapest insurance quotes for your small business. When you are looking to secure the services of a PEO broker, you need to be sure about the kind of questions you ask them. While basic questions like cost per employee and account fees are necessary, one should also ask if they have a dedicated customer service representative for dealing with health insurance queries. You must also gauge the level of personalized service, the PEO is ready to provide. Based on your understanding of your exact requirements, go with a PEO who seems to have a friendly customer service and offers a hassle-free process. Should I deal directly with an Insurance Company? At some point in time, you may think that you would like to directly reach out to an insurance company and strike a deal. This is one idea that you need to clearly steer away from. First of all, the low employee count in your organization will be a huge drawback and you are likely to be billed at a higher rate. More importantly, large insurance companies will probably not take the effort to explain salient aspects about health insurance cover you are securing. Worse still there may be gaps in insurance coverage that you are mandated to provide and you may not meet compliance requirements due to lack of guidance. Working with a PEO or even an insurance agent would be better and you can get group rates from the largest carriers through these entities. What about the fresh recruits that I hire? The ACA mandates that health insurance needs to be provided to all your eligible staff within ninety days of their employment. So, if you are already providing insurance or if you reach the count of fifty full-time employees with the new recruits in place, you would have to roll out insurance to the new hires. Does My State Have a Say in the Kind of Insurance I Provide? It is possible for states to expand the scope mandated by the ACA and place further requirements. While in most states, the standard coverages under ACA are in vogue, some states have gone ahead and have included specific coverages. Consult your broker of PEO for getting a correct picture about what your state mandates you to offer. Small businesses in the United States are mandated by law in specific states to offer different kinds of cover. There are requirements for workers compensation insurance along with unemployment insurance that you may be liable to offer. Then again in some states, it is necessary to offer disability insurance too. Check out the SBA website to know specific details relevant to your state and business. Reach Us today and we will guide you through the process of finding a small business health insurance plan that will work perfectly for your firm. ACA or Affordable Care Act: Commonly known as Obamacare, the ACA is designed to offer affordable health insurance to US citizens. Qualified Health Plan: Essentially a plan that is compliant with Obamacare and provides the minimum coverage as mandated under the ACA act. Affordable Coverage: Arising out of the Obamacare legislation, it mandates that the cost of insurance should be lower than 9.5 percent of the household income of the employee. COBRA: A farsighted federal law that allows employees to keep their health insurance coverage if they have been laid off for a certain period. However, employees are liable to pay these costs and employers who offer insurance need to share COBRA paperwork with their staff when their services are discontinued. Flexible Benefits Plan: Employees are given the chance to pick from a menu of plans as per their needs.